Are you ready to take the plunge? A health plunge that is! If you have a health goal you would like to hit (losing weight, feeling more energetic, improving mood or skin) – there is no time like the present. Drink 8 glasses of H20 per day – herbal tea counts! Stop eating grain by 2pm each day. You will wake up with a flatter tummy and more energy. Stay far away from refined, white sugary foods. Naturally sweet foods such as fruit are just fine. Sleep in a completely dark room for a minimum of 7 hours per night – see article below on how to sleep away the pounds! Remember…as nutritional pioneer Adele Davis once spoke, “We are indeed much more than we eat, but what we eat can help us become much more than whom we are”. Enjoy the November newsletter as it is filled with recipes, products, articles and more to help you quickly become your best self. In addition to a healthy and balanced diet and regular exercise, a restorative night's sleep can help with the battle of the bulge. According to recent studies published in the Journal of the American Medical Association and the Lancet, lack of sleep can slow down your metabolic function and make it harder to lose weight. Clickhere to read more. 5 Foods to improve your skin! Your skin is the largest organ in your body and is often a reflection of inner health. In order to look your very best from the inside out, click hereto discover the top 5 anti-wrinkle foods that will help your skin look youthful and radiant. Trust me, it works! 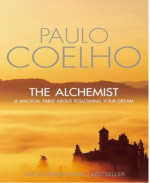 According to the book The Alchemist by Brazilian author Paulo Coelho, “When a person really desires something, all the universe conspires to help that person to realize his dream.” If you have not already read The Alchemist it is truly a “life changer”. This beautifully written fable about a Sheppard boy dreaming of seeing the world offers compelling life lessons that will capture your heart and boost your spirit instantly. Pure + simple is a natural, organic line that offers anti-aging result options. The powerful hydrating collagen elastin serum helps to change your complexion almost instantly by reducing fine lines and giving your skin a healthy glow. 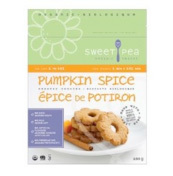 Sweetpea’s pumpkin spice cookies are made with 100% whole grain flour and are wholesome, healthy treats your children will love. Two Girls Cooking is a Toronto based company, committed to producing raw, organic , gluten-free, vegan snack foods. Pour oil into non stick medium sized pan and sauté eggplant pieces over medium heat – 2 minutes per size. Remove eggplant from oven, top with sautéed mushrooms and enjoy with side salad for dinner! When golden brown and bubbling on top, carefully flip. When other side is done, sprinkle with small amount of brown sugar and/or cinnamon and enjoy! Butter an 8-inch baking pan. Place the black beans, eggs, better butter, cocoa powder, salt, vanilla, and sugar in the bowl of a food processor and blend until smooth. Remove the blade and carefully stir in the chocolate chips and walnuts. Transfer mixture to the prepared pan. Bake the brownies for 30 to 35 minutes, or until just set in the center. Cool before cutting into squares. Cut butter into pieces and put into food processor. Blend slowly streaming in the oil, until smooth. Move to air tight container and store in refrigerator. Now you'll have spreadable butter whenever you need it! Meet Alex - lost 50 pounds! After being on cholesterol lowering medication for over 3 years with no change in my cholesterol levels, I felt very frustrated. After losing weight with Dr. Joey on Shulman Weight Loss, I am down over 20 pounds and my cholesterol levels are now within normal range! Thank you, thank you, thank you! Bianca Age 54 – Lost 30 ½ pounds! n addition to my weight loss, I no longer feel bloated or have stomach discomfort. I have much more energy and my cravings are gone! What a feeling of accomplishment this is.